- Ideal for DJ, Bars, Pubs, Clubs, KTV, Party, etc. LED LIGHTS- The led spider light has 9 10 watt led lamps on the machine. MODES- The led light has four control modes including: DMX512, Master-Slave, Sound and Automatic. EFFICIENT- The led spider light has pan movement providing infinite rotation. 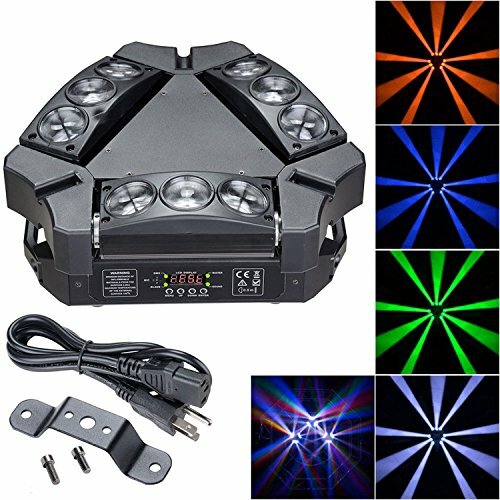 MULTI-USE- The 4in1 led spider light is idea for DJ's, bars, pubs, clubs, KTV, parties etc.